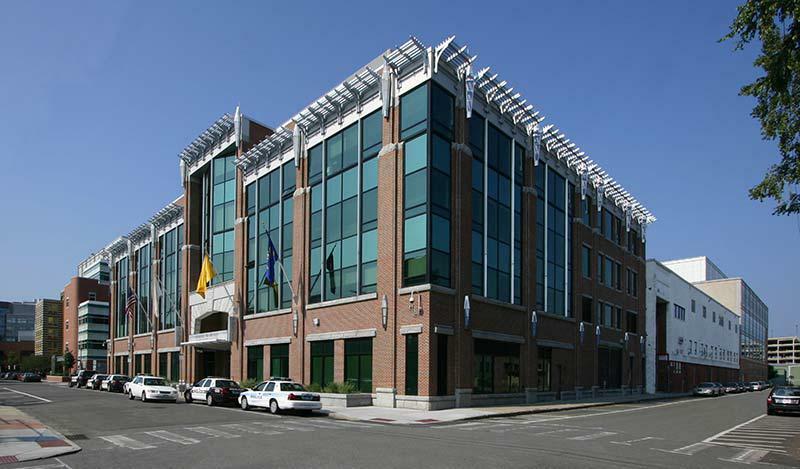 The Robert W. Healy Public Safety Facility in Cambridge is a mixed-use facility for police, fire, and related public safety functions. The existing building re-opened in 2007 after extensive renovations, which were certified LEED Silver. The 110,000 square feet six-story police station contains a green roof, innovative mechanical and electrical equipment, and state-of-the-art telecommunications and security equipment. Recommissioning was performed from 2012 to 2013 and included conducting functional performance testing of all HVAC and major electrical systems, including emergency power systems serving the Emergency Communications Center on the fifth floor. Recommissioning included investigating and recommending solutions to specific problem areas to improve HVAC and lighting control. In addition, Stephen Turner Inc. focused on reducing energy consumption and costs and ensuring the Cityês staff has adequate system documentation and training on the complex and sophisticated building systems. Stephen Turner Inc. oversaw modifications to the water-side economizer sequence, ensuring that the mechanical chillers shut down in cold weather. Colorized riser drawings were created to help operators troubleshoot systems. As part of the recommissioning deliverables, Stephen Turner Inc. developed enhanced maintenance procedures including remote monitoring, hands-on maintenance, as well as a three-year recalibration program to ensure critical building sensors are operating properly. Instructional cards were placed in each room to help promote proper use of in-room controls and operable windows by present and future occupants.